Translated from the Bosnian with an introduction by Ammiel Alcalay Following his depiction of Bosnia under siege in the much celebrated Sarajevo Blues, Semezdin Mehmedinovic´ now explores the vast space of his new continent. Mostly written in response to a cross-country journey by train in post 9-11 America, Mehmedinovic´'s Nine Alexandrias provides a poetry of witness and testimony of a very different order. In this nightmarish and exhilarating odyssey, Mehmedinovic´'s political acuity is displayed everywhere but barely pronounced. In Washington, D.C., his new home, the graphic and tactile affirmation of life amidst horror depicted so masterfully in Sarajevo Blues, turns into an eerie silence that permeates both the expanse of the land and the heart of the American empire. Praise for Semezdin Mehmedinovic´'s Sarajevo Blues: "A memorable literary achievement." --Library Journal "Sarajevo Blues is widely considered here to be the best piece of writing to emerge from the besieged capital since Bosnia's war erupted in April 1992." --The Washington Post "In poems, micro-essays, and prose vignettes, Semezdin Mehmedinovic´ charts the collapse of a world with clear-eyed passion for the truth that one finds in the young Hemingway, the Hemingway of In Our Time." --Paul Auster Semezdin Mehmedinovic´ was born in Tuzla, Bosnia in 1960 and is the author of five books. Mehmedinovic´ -arrived in the U.S. as a political refugee in 1996, and he is currently living in Alexandria, Virginia. Literary Nonfiction. Book Arts. Poetry History & Criticism. Conducted over the course of four decades, HANGING QUOTES is a landmark oral history project comprised of nineteen interviews with pioneer book artists, typographers, and poets. Alastair Johnston's thoughtful questions evoke fascinating new stories and information from luminaries as diverse as Nicolas Barker and Robert Creeley. He discusses the transition from cast metal to digital type with the prime movers in the field: Matthew Carter, Sumner Stone, and Fred Smeijers; and he takes stock of the field of artists' books in wide-ranging conversations with Sandra Kirshenbaum and Joan and Nathan Lyons, while his groundbreaking interviews with Dave Haselwood, Holbrook Teter, Bob Hawley, Walter Hamady, and Graham Mackintosh shed new light on the history of the book in the 20th century. "It is rare to see a publication which includes personalities from both Shia and Sunni schools of thought and which is so much needed in today's turbulent world. This book, I believe will . . . enrich our understanding of not only the historical but the contemporary history of the Muslim. "- Ahmed J. Versi , chief editor of 'The Muslim News' (London)Who have been the Muslim world's most influential people? What were their ideas, thoughts, and achievements? In one hundred short and engaging profiles of these extraordinary people, fourteen hundred years of the vast and rich history of the Muslim world is unfolded. For anyone interested in getting an intimate view of Islam through its kings and scholars, generals and sportsmen, architects and scientists, and many others-this is the book for you.Among those profiled are the Prophet Muhammad , the Caliph Umar , Imam Husain , Abu Hanifa , Harun al-Rashid , al-Khwarizmi , al-Ghazali , Saladin , Rumi , Ibn Battuta , Sinan , Ataturk , Iqbal , Jinnah , Ayatollah Khomeini , Malcolm X , and Muhammad Ali . For centuries following the fall of Rome, Western Europe was a benighted backwater, a world of subsistence farming, minimal literacy, and violent conflict. Meanwhile Arab culture was thriving, dazzling those Europeans fortunate enough to visit cities like Baghdad or Antioch. There, philosophers, mathematicians, and astronomers were steadily advancing the frontiers of knowledge, as well as keeping alive the works of Plato and Aristotle. When the best libraries in Europe held several dozen books, Baghdad's great library, The House of Wisdom, housed four hundred thousand. Jonathan Lyons shows just how much "Western" ideas owe to the Golden Age of Arab civilization. Even while their countrymen waged bloody Crusades against Muslims, a handful of intrepid Christian scholars, hungry for knowledge, traveled East and returned with priceless jewels of science, medicine, and philosophy that laid the foundation for the Renaissance. In this brilliant, evocative book Jonathan Lyons reveals the story of how Europe drank from the well of Muslim learning. Presents a collection of essays that look at Iraq’s history, arts, religion, politics, and the role of women. There is no easy way out of the spiraling morass of terror and brutality that confronts the world today. It is time now for the human race to hold still, to delve into its wells of collective wisdom, both ancient and modern.--Arundhati Roy The Power of Nonviolence, the first anthology of alternatives to war with a historical perspective, with an introduction by Howard Zinn about September 11 and the U.S. response to the terrorist attacks, presents the most salient and persuasive arguments for peace in the last 2,500 years of human history. Arranged chronologically, covering the major conflagrations in the world, The Power of Nonviolence is a compelling step forward in the study of pacifism, a timely anthology that fills a void for people looking for responses to crisis that are not based on guns or bombs. Included are some of the most original thinkers about peace and nonviolence-Buddha, Scott Nearing, Henry David Thoreau's "Civil Disobedience," Jane Addams, William Penn on "the end of war," Dorothy Day's position on "Pacifism," Erich Fromm, and Rajendra Prasad. Supplementing these classic voices are more recent advocates of peace: Albert Camus' "Neither Victims Nor Executioners," A. J. Muste's impressive "Getting Rid of War," Martin Luther King's influential "Declaration of Independence from the War in Vietnam," and Arundhati Roy's "War Is Peace," plus many others. 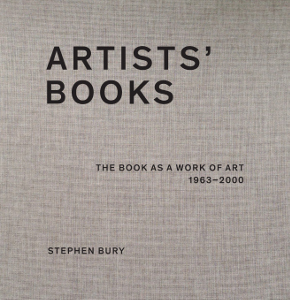 Published to accompany the 1994 exhibition at The Museum of Modern Art, New York, this book constitutes the most extensive survey of modern illustrated books to be offered in many years. Work by artists from Pierre Bonnard to Barbara Kruger and writers from Guillaume Apollinarie to Susan Sontag. An importnt reference for collectors and connoisseurs. Includes notable works by Marc Chagall, Henri Matisse, and Pablo Picasso. From one of Bosnia's most prominent poets and writers: spare and haunting stories and poems that were written under the horrific circumstances of the recent war in Bosnia-Hercegovina. Semezdin Mehmedinovic remained a citizen of Sarajevo throughout the Serbian nationalists' siege and was active throughout the war in the city's resistance movement, as one of the editor's of the magazine Phantom of Liberty. Sarajevo Blues was originally published at the end of 1992 and was the first book in the Biblioteka "egzil-abc" series, published in Ljubljana, which provided a forum for Bosnian writers and translators under siege or living in exile. Semezdin Mehmedinovic says that "writing is, finally, quite a personal thing that doesn't make much sense unless you are practicing for the last word." For those Bosnians emerging from the siege or still in exile, these "last words" remain intimate possessions, one of the last bastions left against the commodification of tragedy. The breadth of Arabic literature produced by Arab writers from pre-Islamic times to the contemporary period reveals a world of thought and feeling largely unseen and unheard in the English-speaking world. In this wide-ranging and unique anthology, works by Christian, Jewish, and Muslim authors show the genius of Arab civilization through the prism of literature.Through odes (or 'Mu'allaqat' ); selections from the Qur'an; samples of Hadith and the poetry of rivalry, love, adventure, and mystic transcendence; and prose conveying scientific innovation, philosophical inquiry, theological disputation, and historical analysis, this extraordinary collection provides an authoritative overview of Arabic literature. This volume carefully assesses fixed notions of Arab womanhood by exploring the complexities of Arab women's lives as portrayed in literature. Encompassing women writers and critics from Arab, French, and English traditions, it forges a transnational Arab feminist consciousness. Brinda Mehta examines the significance of memory rituals in women's writings, such as the importance of water and purification rites in Islam and how these play out in the women's space of the hammam (Turkish bath). Mehta shows how sensory experiences connect Arab women to their past. Specific chapters raise awareness of the experiences of Palestinian women in exile and under occupation, Bedouin and desert rituals, and women's views on conflict in Iraq and Lebanon, and the compatibility between Islam and feminism. At once provocative and enlightening, this work is a groundbreaking addition to the timely field of modern Arab women's writing and criticism and Arab literary studies. This volume of The Cambridge History of Arabic Literature covers artistic prose and poetry produced in the heartland and provinces of the 'Abbasid empire during the second great period of Arabic literature, from the mid-eighth to the thirteenth centuries AD. 'Abbasid literature was characterised by the emergence of many new genres and of a scholarly and sophisticated critical consciousness. This volume deals chronologically with the main genres and provides extended studies of major poets, prose-writers and literary theorists. It concludes with a comprehensive survey of the relatively unknown literature of the Yemen to appear in a European language since the manuscript discoveries of recent years. 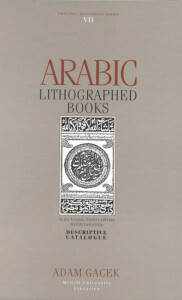 To make the material accessible to non-specialist readers, 'Abbasid authors are quoted in English translation wherever possible, and clear explanations of their literary techniques and conventions are provided. With chapters by leading specialists from the Middle East, Europe and America, the volume represents a wide cross-section of current academic opinion. 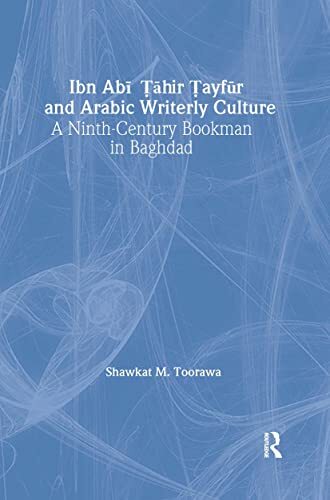 Toorawa re-evaluates the literary history and landscape of  third to ninth century Baghdad by demonstrating and emphasizing the significance of the important transition from a predominantly oral-aural culture to an increasingly literate one. This transformation had a profound influence on the production of learned and literary culture; modes of transmission of learning; nature and types of literary production; nature of scholarly and professional occupations and alliances; and ranges of meanings of certain key concepts, such as plagiarism. In order to better understand these, attention is focused on a central but understudied figure, Ibn Abi Tahir Tayfur (d. 280 to 893), a writer, schoolmaster, scholar and copyist, member of important literary circles, and a significant anthologist and chronicler. This book will appeal to anyone interested in Arabic literary culture and history, and those with an interest in books, writing, authorship and patronage. How are Arab women seen by others? How do Arab women see themselves? New York University professor Mona Mikhail's new collection of essays casts a wide net over literature, film, popular culture, and the law in order to investigate the living, often rapidly changing, reality of Arab women and their societies. "Quite simply: these are seminal essays.... Distinguished scholarship, erudite, and full of innovative ways of interpreting Arabic and Persian poetry." --Omar Pound "[This book] reads Arabic and Persian poetry in a refreshingly new and significant way.... raises our understanding... to a new level." --James T. Monroe Innovative methodologies reorient critical readings of classical Middle Eastern literature. This exhaustive and yet enthralling study considers the life and work of al-Mutanabbi (915-965), often regarded as the greatest of the classical Arab poets. A revolutionary at heart and often imprisoned or forced into exile throughout his tumultuous life, al-Mutanabbi wrote both controversial satires and when employed by one of his many patrons, laudatory panegyrics. Employing an ornate style and use of the ode, al-Mutanabbi was one of the first to successfully move away from the traditionally rigid form of Arabic verse, the 'qasida’. "Through these poems, Amal al-Jubouri connects us to the earliest known poems, and yet the dialectic tension between them is utterly contemporary. Al-Jubouri writes 'This is my protest, this is my folly,' yet these poems are neither simple protest nor in any sense folly. These poems are both essential and eternal." --Nick FlynnThis translation of Iraqi author Amal al-Jubouri contextualizes America's occupation of Iraq through the Qur'an's story of Hagar. Complementary pairs of poems portray life before and after the war. This work simultaneously mirrors Hagar's desperate running between Safa and Marwah, as we pace frantically between pre- and post-occupation Iraq--the poet begging in vain for poetry not to abandon her people. Honor before the occupation 'Worship the LeaderLove the PartyCurse America, the siege' '~' Honor after the occupation 'Curse the DictatorForsake the PartyClap with flowers in your hand for America, her wall' Amal al-Jubouri , a nativeof Iraq, is the author of five collections of poetry including 'Wine from Wounds' ; 'Words, Set Me Free!' ; 'Enheduanna', 'Priestess of Exile' ; and '99 Veils'. In 1997 she took asylum in Germany after having been listed first on Uday Hussein's list of renegade Iraqi writers and was the first Iraqi writer to return to Baghdad, two days after the fall of the regime. The founder and editor-in-chief of 'al-Diwan', the first and only Arab-German literary magazine, she is president of the East-WestDiwan German Cultural Foundation and acts as cultural counselor for the Yemen Embassy in Berlin. For two decades, since the Iraq-Iran war in 1980, Iraq has been the focus of numerous political, economic, sociological, military, and geopolitical studies. However, very little has been published on the Iraqi literary tradition. Modern Iraq has produced a highly complex literature of survival in response to various realities of oppression and to challenges of modernism. Translators include Naomi Shibab Nye, Ellen Dore Watson, Daniel Weissbort, and Ferial Ghazoul. Dr. Saadi Simawe guest-edited the pioneering Palestine/Israel issue of Modern Poetry in Translation (No. 14), and three years ago guest-edited a special issue of Arab Studies Quarterly on modern Iraqi literature. He is Associate Professor of Middle Eastern and American Studies, Grinnell University. Over more than three decades Adrienne Rich's essays have been praised for their lucidity, courage, and range of concerns. In A Human Eye, Rich examines a diverse selection of writings and their place in past and present social disorders and transformations. Beyond literary theories, she explores from many angles how the arts of language have acted on and been shaped by their creators' worlds.This powerful new collection includes a stirring response to the anthology Iraqi Poetry Today, a critique of three classic socialist manifestos, and a rereading of The Dead Lecturer, an early volume of poems by LeRoi Jones. Rich engages the impulse to make art that both impels toward and interacts with social change, a theme she also traces through the letters of poets Robert Duncan and Denise Levertov, gay and lesbian politics and poetry, and influential texts on Zionism and the Jewish diaspora. "Sand Opera is what political poetry must be like today in our age of seemingly permanent war." --Mark Nowak Sand Opera emerges from the dizzying position of being named but unheard as an Arab American and out of the parallel sense of seeing Arabs named and silenced since 9/11. Polyvocal poems, arias, and redacted text speak for the unheard. 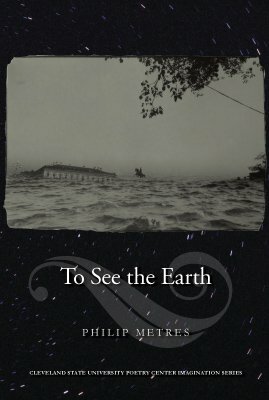 Philip Metres exposes our common humanity while investigating the dehumanizing perils of war and its lasting effect on our culture. From "Hung Lyres": @ When the bombs fell, she could barely raise her pendulous head, wept shrapnel until her mother capped the fire with her breast. She teetered on the highwire of herself. She lay down & the armies retreated, never showing their backs. When she unlatched from the breast, the planes took off again. Stubborn stars refused to fall . . . Philip Metres has written a number of books and chapbooks, most recently A Concordance of Leaves (Diode, 2013), abu ghraib arias (Flying Guillotine, 2011), To See the Earth (Cleveland State, 2008), and Behind the Lines: War Resistance Poetry on the American Homefront Since 1941 (University of Iowa, 2007). His work has appeared widely, including in Best American Poetry, and has garnered two NEA fellowships, the Thomas J. Watson Fellowship, four Ohio Arts Council Grants, the Anne Halley Prize, the Arab American Book Award, and the Cleveland Arts Prize. He teaches at John Carroll University in Cleveland, Ohio. Poetry. "'Do our voyages,' Auden once asked, 'still promise the Juster Life?' Too many of us would answer this question in negative--not so Philip Metres. His poems seek above all to traverse borders, not merely those between nations and cultures but also--and most importantly--between the personal and the political. With a sure command of craft, which he displays in abundance, Metres plays for high stakes. TO SEE THE EARTH is a debut of unusual distinction"--David Wojahn. Adding his voice to the current debate about the US occupation of Iraq, in poems written in the tradition of such poets as Wilfred Owen, Yusef Komunyakaa (Dien Cai Dau), Bruce Weigl (Song of Napalm) and Alice James’ own Doug Anderson (The Moon Reflected Fire), Iraqi war veteran Brian Turner writes power-fully affecting poetry of witness, exceptional for its beauty, honesty, and skill. Based on Turner’s yearlong tour in Iraq as an infantry team leader, the poems offer gracefully rendered, unflinching description but, remarkably, leave the reader to draw conclusions or moral lessons. Here, Bullet is a must-read for anyone who cares about the war, regardless of political affiliation.